It was a competitive process, and the state funded 70 school districts out of 526 public schools in the state. 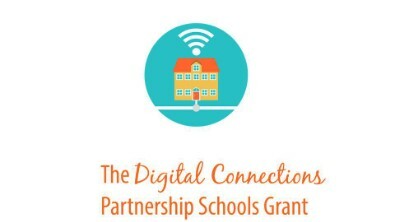 The grant is put in place to assist school districts in moving to properly administer electronic testing, including MCAS and testing with Chromebooks. The funding does not go for the Chromebooks themselves, which have been supported by the school budget, but for infrastructure, including network switches. Mr. Garofano detailed the long application process for the grant, which began two years ago with an email from the state about a funding opportunity. They decided to go forward with the proposal, asking for the replacement of every network switch in our district. The equipment basically connects everyone’s computer and Wi-Fi devices, he explained. Funding includes installation, configuration and consulting from a professional technology firm. They also requested the completion of their Wi-Fi upgrade project. “Currently we have invested our own funds in upgrading the Wi-Fi in this building [Bellingham Memorial School] and the high school in preparation for the rollout of the over 700 Chromebooks we’ve done so far this year.” The grant gives them the capability to update DiPietro, Stall Brook, and KMA schools. Pockets of new network wiring are also included, as well as other miscellaneous professional services including a one-year service contract. In the end, the district received everything they requested in the grant. The amount totaled $512,481, with $376,655 for equipment and services, $118,826 e-rate reimbursement, and $17,000, for core switch reconfiguration. The district’s 30% contribution, which amounted to $75,330, did not end up adding to the budget. Prior FY19 investments (including Chromebooks and Wi-Fi) were allowed as the town’s contribution and counted toward that total. School committee members were excited about the grant, asking if it was partly a reflection of our investment in technology. Garofano agreed it could be. “I believe our application was strong based on what we’ve done to date, and some of the things that they can build upon,” he said. “We’re been trying to be progressive and move forward to get to the next step,” said School Committee Chairman Michael Reed. Garofano anticipates that this funding will set the district up for seven to eight years of technology initiatives. Work is scheduled to take place outside school hours, beginning as early as April with a completion date set by the state of June 30. “This was a once-in-a-lifetime opportunity,” Mr. Garofano finished, and the school committee was grateful for it.